Before I'm heading to Pretoria for a week to participate in the kick-off workshop of the new Swedish-South African University Network, I'm sharing my regular Friday link review. There may not be a new one next week due to travel-so don't read everything at once ;)! But there are also insights into global education challenges, preventing conflicts, artificial intelligence and how students should challenge the neoliberal academy! It is probably fair to say that I have read and reviewed quite a few, quite different aid worker and correspondent memoirs over the lifespan of Aidnography. 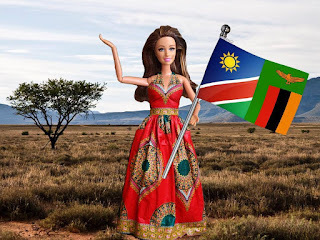 I have met an American ‘warrior princess’ in Kenya, a strange journalist pursuing the LRA in Uganda – and Louise Linton. But there have also been interesting (self-) reflective aid worker memoirs, more artisticwriting projects as well as historical memoirs at the end of long and distinguished international careers or biographies. I am certainly not claiming that ‘I have seen/read it all’, but I have kept an eye on the genre for a while now-as a researcher, teacher and global development enthusiast. 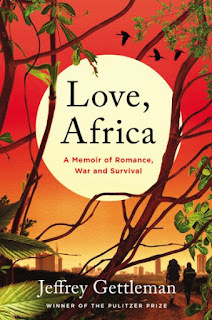 So when the first critical reviews of Jeffrey Gettleman’sLove, Africa-A Memoir of Romance, War, and Survival appeared, I felt sufficiently prepared for yet another turn on the memoir rollercoaster. Actually, it is not a bad contribution to the genre, but also does not take existing narratives further. The developments at Third World Quarterly were definitely the top story in my networks this week-a fascinating case study about changing academic publishing cultures, core values of development research & broader questions about 'whose voices count' in debating international development in public arenas.